Currently, 36 percent of IT managers plan to expand their Unified Communications capabilities over the next three years. When asked why they’re not unlocking Unified Communications benefits sooner, 23% of organizations cited cost as a barrier to using better, cloud-based communication tools. If you’re in a position where you know the benefits of Unified Communications but lack the IT budget to make the switch, you might be trying to make the case to your boss that Unified Communications can drive some serious return-on-investment for your organization. The value of Unified Communication tools goes beyond pure money saved, though you can expect to save a lot of money by bundling and streamlining your communication tools and lower costs on your telephony. Your organization can also expect to appreciate other types of measurable value through Unified Communications. 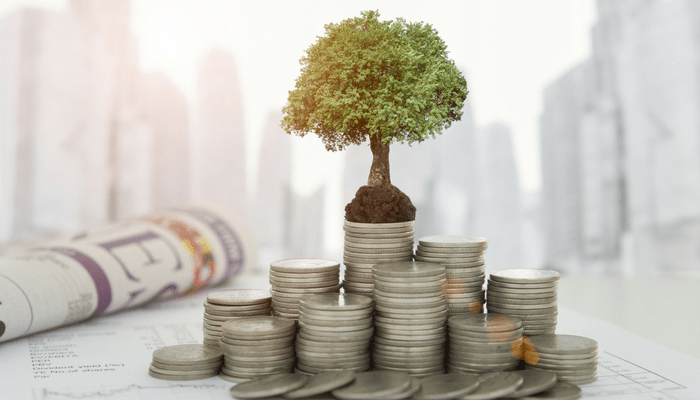 Understanding the full, true ROI your organization can appreciate by making the switch to Unified Communications should include a look at both of these types of savings. If your business is able to easily quantify that switching to Unified Communications would enable you to stop spending money on something, such as on-site visits for cabling updates from your telecommunications provider, there’s a good chance that you’re looking at a concept that falls under hard savings. Including both hard and soft cost savings is important to understanding the true ROI of your new Unified Communications tools. We’ll include both types of savings in the guide to UCaaS ROI factors below. Maintaining your IT infrastructure is costly. Not only is it resource-intensive to manage your own servers and IT workload, but hardware investments in servers, real estate, and necessities like cooling equipment also represent a massive up-front cost for organizations. UCaaS costs scale predictably and evenly over users, allowing you to accurately project and ultimately save money by utilizing virtual servers and cloud services. If your organization is paying for multiple chat apps or video conferencing software, you’re not alone. A staggering percentage of IT budget is spent on redundant apps and overlapping software subscriptions. In fact, one case study of an organization that doubled-down and reduced unnecessary IT expenditures on duplicated software revealed they saved 25%! Your organization has an opportunity to centralize tools into your new Unified Communications platform, eliminating the need to pay twice for modern communications platforms. While the amount you stand to save depends on how centralized your technology is and how much unauthorized “shadow IT” is used in your organization, it could be significant. There’s also potential for massive soft cost savings through tool consolidation as you eliminate the potential for confusion and miscommunications by providing employees with a single, centralized portal for voice, email, text, chat, and other types of communications. Organizations with remote workers, contractors, or multiple sites are able to reduce their business travel load through superior tools for audio conferencing, video conferencing, and file sharing. Solutions like Broadsoft’s Team-One allow Unified Communications administrators to create project-based hubs for collaboration in the cloud on-demand, allowing global team members to participate in group chats, team meetings, and file sharing. There’s even seamless, built-in integration with Google Drive, Microsoft 365, Salesforce, and other critical apps. While your organization’s potential for saving money on business travel for team meetings and client presentations can vary, this is a cost that can likely be quantified as you gain access to today’s best tools for global collaboration. To learn more about how UCaaS can revolutionize your organization builds a global workforce, we recommend How Unified Communications is Fueling Team Collaboration and Business Innovation. What if your employees never had to spend time looking for missing information or waiting on a colleague to return an email? Solutions like Broadsoft’s Unified Communications-One are designed to support the way people work today. Instead of having to switch between email and document management programs and customer relationship management (CRM) apps, employees can just log into one portal from any device to access integrated phone, messaging, presence, conferencing, screen sharing, virtual meeting rooms, and more. The potential return from better tools for collaboration and communication is quite difficult to quantify, like many soft savings. The average U.S. employee spends 1.5 hours each workday searching for lost info. That’s six weeks a year. If your organization is able to eliminate lost productivity with better tools for collaboration, you could stand to save millions each year. It’s much cheaper to implement UCaaS than it is to invest in an on-premises solution from the perspective of immediate costs. Even if your organization is only using cloud-based phones, you may be able to expect to save 66% on upfront costs for making the switch. Paying the bulk of your costs to a vendor monthly, instead of in a lump sum upfront for new hardware and an on-site implementation, can offer significant financial benefits. The benefits of how your organization can use the “up-front” cost savings on UCaaS vs. alternatives can be massive, especially if your organization is able to invest the money into research & development, marketing, or other areas that lead to meteoric growth. The subscription-based payment model associated with UCaaS can be a particularly explosive growth tool for small and mid-sized organizations (SMB) or startups. Mobility is an area of soft savings that is associated with massive gains in productivity, employee happiness, and competitive advantage. Your employees can work from home more often, resulting in a larger talent pool and less employee absenteeism when minor health or childcare issues occur. Employees can maintain higher productivity during business travel or engagements that require out-of-office hours with mobile-first Unified Communications platforms like Broadsoft. You’re likely to incur happier customers when your employees are quicker to respond. While mobility is a form of soft savings that’s incredibly difficult to quantify, some organizations are able to calculate improvements post-Unified Communications implementation with usage data. 20% of today’s organizations believe mobility is a competitive advantage, while 87% report mobile offerings lead to better employee retention. Switching to UCaaS is an important step towards a seamless customer experience. UCaaS solutions for contact center employees, sales, and account representatives allow organizations to achieve a single system of record (SOR) for client interactions. Broadsoft’s CC-One integrated customer contact history across phones, email, chat messages, and even social media data via CRM integrations so customer service representatives can understand the full picture from the moment a client reaches out for resolution. Improvements in customer service quality through Unified Communications can occur through increases in first-call resolution, faster customer service, and happier clients. TiVo reduced their average call handling time by 10 seconds with Broadsoft’s Unified Communications platform. Your specific savings will vary depending on your customer satisfaction and average customer lifetime value. However, research reveals that organizations who increase their customer retention by just 5% increase profitability by averages of 25-95%. Chances are, your organization is about to unlock quite a few more soft savings than the factors listed above by switching to Unified Communications. You could stand to achieve better business decision-making when employees have access to more complete information. You are likely to have happier, more engaged employees when frustration levels around lost information or team miscommunications are reduced. However, these factors illustrate a few soft costs that organizations can attempt to quantify when making the case for Unified Communications ROI. Return on investment is the most-common measure of profitability in business decision-making. Usually, it's as simple as dividing the profit by the total investment cost. Since measuring the value of Unified Communications isn’t that simple, we’ll provide a basic equation and some suggestions on how to truly understand how Unified Communications drives budget savings. Step 1: Calculate the total cost of UCaaS for one year. Step 2: Calculate the total cost savings using hard costs. Step 3: Divide the total savings by total cost. As an example, let's imagine an organization anticipates an initial investment cost of $20,000, and monthly recurring bills of $3,000. Their total first-year Unified Communications cost would be $56,000. Now, this organization will add up the hard-cost savings from the list above. For the sake of this example, we'll imagine they calculated a potential savings of $34,000. The simple ROI calculation would be to divide savings by investment. In this instance, the number is 0.60. Soft cost savings always involve prediction and projection, but you can lend accuracy to your calculations by using data from your CRM or Sales Team on quantifiable benchmarks. When you expand the savings value associated with Unified Communications to a more comprehensive equation, you’re likely to find the ROI of Unified Communications in the first year alone is incredible. 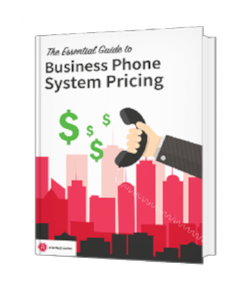 For more specifics on what you can expect from your initial investment in a cloud-based phone system, check out the free Atlantech eBook The Essential Guide to Phone System Pricing! How Much ROI Will My Organization Drive with Unified Communications? Quantifying the hard cost savings associated with investment in cloud-based Unified Communications tools is relatively simple. However, estimating the true ROI of Unified Communications is a much more complex equation that involves understanding the potential impact of unified communications on people, productivity, client satisfaction, and business agility. While the vast majority of organizations who switch to Unified Communications either meet or exceed their goals for returns, understanding the full business impact can make the potential gains of UCaaS even more significant. The first step to proving the value of any new technology is to obtain accurate pricing data that’s customized for your organization. To start a conversation with Atlantech Online today about your organization’s unique business communication needs and how much ROI you could achieve with a switch to Unified Communications, click here to start a conversation today.